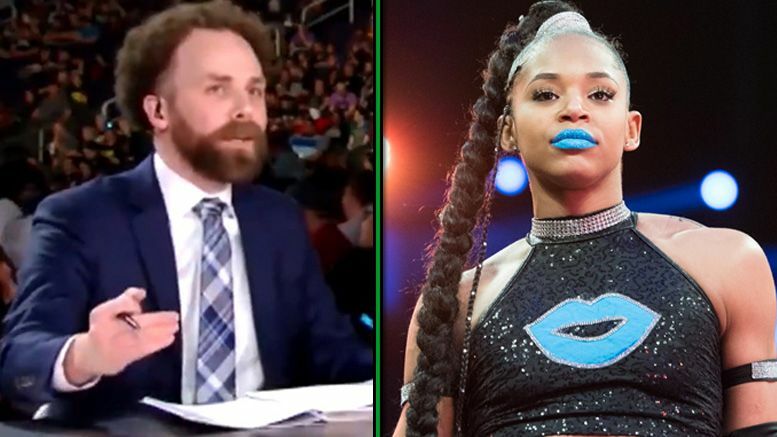 Twitter lit up during the NXT TakeOver pre-show after Sam Roberts ranted about Bianca Belair on Saturday night … and the situation was addressed on his latest podcast. In case you missed it, Roberts told the pre-show panelists Bianca was not worthy of a spot at a TakeOver event and not an elite athlete like past NXT Women’s Champions. “WWE invites me to those kickoff shows and they ask me to give my opinion on things,” Sam explained on his show while discussing the moment.